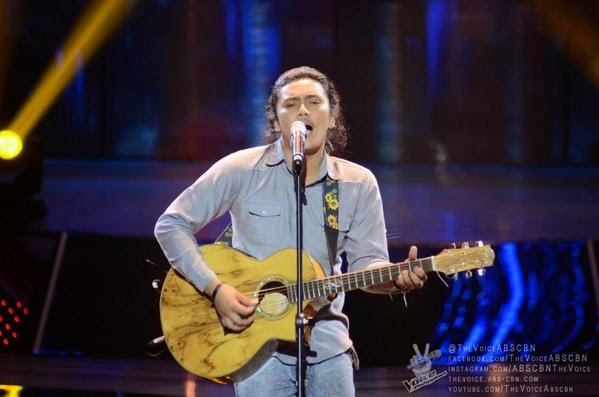 Manila, Philippines - Rence Rapanot was the fourth four-chair turner of ABS-CBN's top-rating and Twitter-trending singing competition 'The Voice of the Philippines Season 2 on the continuation of Blind Auditions on Saturday, November 8, 2014. Rapanot sang "Mateo Singko" which impressed the four coaches Lea Salonga, Sarah Geronimo, Bamboo Manalac and apl.de.ap. The 21-year old artist from Cavinti, Laguna picked Team Bamboo. The Saturday's episode of 'The Voice of the Philippines' Season 2 dominates online conversations with '#VoiceWeekend', 'Rence' and 'Demie' among the trending topics.